Any vehicle accident is dangerous, but collisions with large trucks tend to be particularly destructive. According to the U.S. Department of Transportation, more than 3,700 people died in large truck crashes in 2011, accounting for more than 10 percent of the vehicular fatalities for that year. Chris Olsen, an experienced personal injury lawyer, frequently helps victims of truck accidents get fair compensation for the physical, emotional, and financial trauma they endure. To obtain proper recompense, you will need to establish liability, which involves understanding and determining the factors that led to the collision. 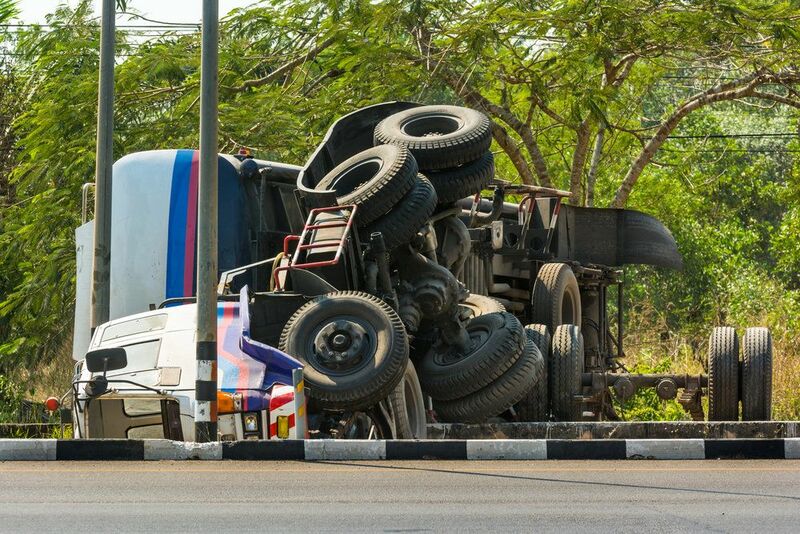 In the following blog post, our San Diego legal team explains common commercial truck accident causes to help you avoid future collisions. Improper vehicle maintenance. A mechanical failure could cause the driver to lose control of the vehicle or exhibit unsafe driving behaviors as he or she attempts to fix the problem. Commercial truck drivers and trucking companies must follow the maintenance protocols set by the FMCSA, or Federal Motor Carrier Safety Administration. Intoxicated driving. Driving under the influence of drugs or alcohol is always dangerous and illegal, but is especially damaging for commercial truck drivers, since these large vehicles require care and precision to safely maneuver. Unsafe loading. The way drivers and trucking companies pack their loads onto their vehicles can affect the way they drive. Top or side heavy trucks are more likely to overturn and cause greater damage during an accident. In addition, poorly loaded trucks may drop debris on the road that other drivers may have to swerve around or drive over. Insufficient training. Truck drivers must complete extensive training and earn a special license before getting behind the wheel. Distracted driving. Just like Class C drivers, truck operators can be considered negligent in an accident if they were distracted behind the wheel. Distracting behaviors include but are not limited to: sending text messages, making phone calls, looking out the window or into the back of the car, eating, changing the radio station, looking at maps, or adjusting the car seat. Fatigue. Since truck drivers often spend all day traveling, fatigue is an important factor to consider in commercial truck accidents. The FMCSA regulates specific rest times and maximum driving hours for a day. If you notice commercial truck drivers exhibiting any unsafe behaviors on the road, you should contact your local transit authority and the involved trucking company to report this. Recreate the scene of the accident to better understand the dynamics at work. If you have any photographs of the scene, this may help him reconstruct and analyze it. Acquire time sheets, mechanical reports, drug tests, and any other records to determine if the driver or company violated FMCSA standards. Obtain key witness testimony from other drivers or pedestrians who saw the accident take place. To help Mr. Olsen, you should honestly and accurately provide as much information as you can about the accident. Being a diligent driver can help you avoid commercial truck accidents and limit your liability if you are involved in one. If you have been in a commercial truck accident, contact our office today to schedule an appointment with Mr. Olsen and learn more about your rights.